This is an interesting case which I have been managing over the last six months. A 50-year-old male, with no previous medical illnesses, presented with fatigue, weight loss and arthralgia for several weeks. Clinical examination was unremarkable. Investigations revealed a rise in Creatinine from a baseline of 86 to 120 µmol/l (eGFR= 70 down from 90). His urine dipstick revealed protein (1+) and blood (1+). He had a normal Chest X-ray, but his p-ANCA was positive with a high MPO titre. Renal imaging was normal and he underwent a kidney biopsy which showed non-specific findings i.e. some tubulointerstitial inflammation and glomerulosclerosis with mild features of thrombotic microangiopathy (TMA). There were NO crescents and both immunofluorescence and electron microscopy showed NO immune deposits. Putting it all together, a diagnosis of vasculitis was made and treatment with Steroids & Rituximab was initiated. ANCA titre started to fall and urine sediments disappeared. Unfortunately, he developed a steroid-induced psychosis and had a failed suicide attempt. Subsequently, corticosteroids were discontinued and he was commenced on Azathioprine. Four months later he presented with fever, constitutional symptoms and skin rash in the form of reddish papules & nodules involving the trunk, neck & face. Lesions got progressively worse and coalesced to form plaques. A skin biopsy confirmed the presence of neutrophilic dermatosis and a diagnosis of Sweet’s syndrome was made. Interestingly there was no evidence of vasculitis in the skin biopsy. He was treated with high-dose systemic steroids and improved dramatically. This was done in a closely monitored environment in-hospital, given his history of steroid-induced psychosis. Currently, he is being thoroughly investigated for any possible underlying malignancies. Sweet’s syndrome, also known as acute febrile neutrophilic dermatosis, is a reactive skin disorder characterized by the sudden onset of papules and nodules which are tender and reddish/purple in colour. These lesions coalesce later to form plaques. It mainly involves the upper extremities, face, or neck and is typically accompanied by pyrexia and peripheral neutrophilia. It is more common in females and often occurs after a respiratory illness, which is usually mild. More severe disease often occurs with underlying malignancies, drugs or inflammatory conditions e.g. inflammatory bowel disease. Sometimes it could be the first manifestation of the underlying disorder, so whenever it is diagnosed it should prompt further investigation. Sweet’s syndrome responds dramatically to systemic corticosteroids and may improve or resolve with treatment of the underlying condition. Without treatment, the syndrome may persist for weeks or months but eventually improves, in the majority of cases, without leaving any scars; rarely it may persist and never resolve completely. Recurrences are common. 1- Was this case a Sweet’s syndrome from the outset rather than an ANCA vasculitis? 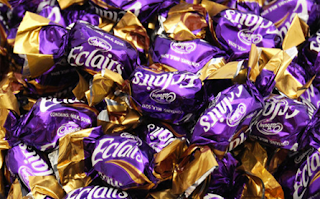 ANCAs have been reported to be positive in Sweet syndrome. The kidney biopsy findings, in this patient, were not convincing and the renal course of the disease was not typical of vasculitis. Moreover, it was previously reported that Sweet’s syndrome is associated with renal involvement manifesting most commonly as proteinuria, and less often as haematuria and membranoproliferative glomerulonephritis. 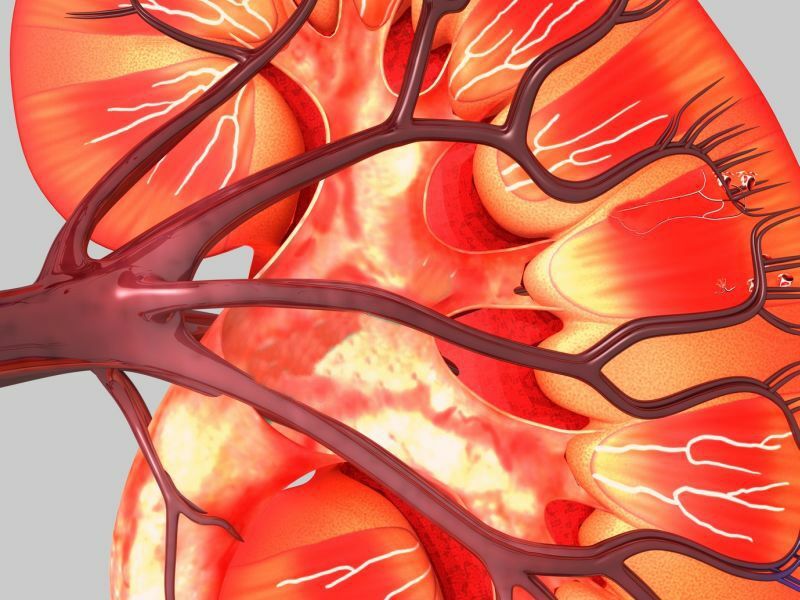 Unfortunately, this disease is uncommon and there is a paucity of studies describing the association between Sweet's syndrome and kidney diseases. 2- Was this case an ANCA vasculitis and the Sweet’s syndrome was a reactive process to the inflammation? This is another possibility and the association between this syndrome and inflammatory conditions is well known. 3- Is it a drug-induced Sweet’s syndrome secondary to Azathioprine? There are several drugs that have been implicated as a cause of this syndrome. Examples are: Azathioprine, Frusemide, Hydralazine, Quinolones and many others. 4- After complete recover from Sweet’s syndrome and exclusion of underlying malignancy, is it reasonable to continue treating a possible ANCA vasculitis or will it is more appropriate to attribute the positive ANCA and the non-specific renal findings to Sweet’s syndrome per se? This is a difficult question to answer. The benefits of long-term immunosuppression should be weighed against the risk of infection, other serious adverse effects and the risk of missing an active vasculitis in a young patient. In conclusion, Sweet’s syndrome is an uncommon disease which could be primary or secondary to an underlying inflammatory process or malignancy. It may cause a positive ANCA test in the absence of active vasculitis. Its association with kidney diseases is not well described and need to be explored. Note: I went to the first offering of this course in 2008 and it was AWESOME. Met Nate, got hooked on RFN and the rest is history. You would be a fool for missing this experience. 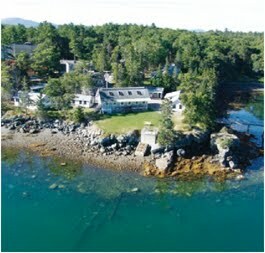 Once in a lifetime chance to learn and network in a very unique environment. With advances in the field of nephrology broadening our knowledge of transplant medicine, glomerular disease, and the interventional aspects of access, I believe fellowship training in the traditional areas of the specialty such as hypertension have diminished. And yet, apart antibiotics, anti-hypertensives are the single most important therapy contributing to rising life expectancies. Because while ESRD trials focus on endpoints such as PTH levels and the CKD literature uses outcomes such as a doubling of serum creatinine, hypertension studies utilize clinical endpoints such as all cause mortality. Moreover, it’s a fascinating disease, our understanding of which is unrivaled by any other condition. What is the circadian rhythm of blood pressure? How does pulse pressure affect the risk of CAD? What is the relationship between basal heart rate and mortality? To understand hypertension is to appreciate human physiology, to apply evidence-based medicine, and to practice cost effective care. Moreover, despite the proliferation of national treatment guidelines, management is more nuanced than targeting similar blood pressure levels for all patients and prescribing the same handful of agents. The “art” of management hinges on understanding the difference between metoprolol and betaxolol, hydrochlorthiazide and indapamide, and losartan and azilsartan. As such, if there is one disease to know, and know well it’s hypertension. To improve my own knowledge of the above, I’m currently undertaking an additional fellowship in hypertension under George Bakris at the hypertension center here at the University of Chicago. In order to share what I have learned, I’ve created a bi-weekly e-newsletter, “Concepts in Hypertension,” as a non-commercial medium to convey key aspects of the disease. Each issue is concise, summarizing one seminal paper and underscoring one key concept. 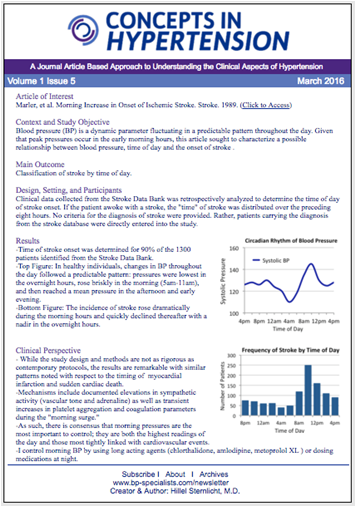 The newsletter then ends with a “clinical perspective” that indicates how the selected paper informs the management of patients at our hypertension center. The recently published paper in the NEJM entitled “Survival Benefit with Kidney Transplants from HLA-Incompatible LiveDonors” caused a huge impact on Brazil’s media. Our main broadcast TV devoted few minutes explaining it, suggesting as a real breakthrough. Patients and many members of our multidisciplinary team were questioning if compatibility could be forgotten as a barrier to transplantation. 1. Does transplanting HLAi patients really improve quality of life (life expectancy was shown to be expanded), compared to waiting on the list for a deceased donor? 2. Why 5-year life expectancy for live donor kidney recipients in the US is 86% (USRDS data), while in the UK, Australia and at our own service it is around 97%. Does anyone has any suggestion of why such a huge difference? 3. What about the high costs of desensitization? The former question is far from our reality. In our center, we do not perform HLAi transplants despite our high volume of over 900 kidney transplants per year. Due to low reimbursement, complications that may arise from HLAi transplants such as re-hospitalizations, requirement for additional plasmapheresis and IVIG as well as biopsies may significantly affect the cost of post-transplant care and prevent appropriate treatment of complications. This cautious approach to cost is immensely influenced by our political and economical scenario. After chaotic administration and corruption, our GPD is falling ~3%. State health insurance is paying less than the actual cost for a dialysis session. In some centers, this is forcing doctors do reduce the dialysis session by 30 minutes (from 240 minutes to 210 minutes/session). In this context, proposing a new and costly treatment (like desensitization) that should be reimbursed by our Public Health System would sound as an outrage to the state health managers. Clearly, it seems the media has been over optimistic with the article conclusions. Many centers in the USA are actually favoring kidney paired exchange to minimize the complications and costs of desensitization. What do physicians from developing countries think about this? Additional comments are appreciated.